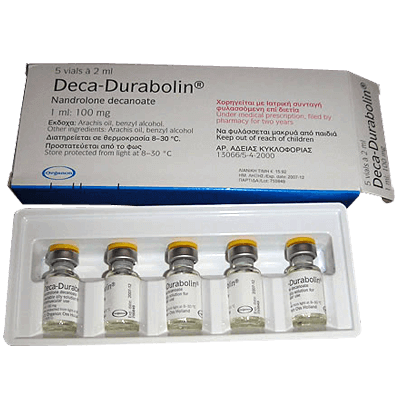 Deca Durabolin, also called “Deca”, is the brand name of Organon’s version of the Nandrolone Decanoate compound. Deca-Durabolin is a 19-nor compound and as such, it shares characteristics with other compounds in this group. Deca sets itself apart from other steroids with the legendary status it has held over the past 30 years. Deca is included in cycles ranging from 100mg to 2,000mg per week. We are going to outline the main reasons Deca-Durabolin lives up to its reputation. First, Deca-Durabolin (and nandrolone in general) does not produce estrogenic or androgenic side effects. This is because Deca-Durabolin has a very low rate of aromatization (conversion to estrogen by aromatase enzymes), roughly 20% of the level of testosterone. Deca-Durabolin also stores a little water in connective tissues, alleviating joint pain. In a study of women in menopause, Deca increased natural collagen synthesis, and in another study it increased bone mineral levels. These two studies used very low doses of Deca, too low to promote muscle growth. Based on their results, in my opinion an athlete using Deca for these two effects (increasing bone mineral content and collagen synthesis) should take 100mg of Deca-Durabolin each week. This is actually higher dose than the two studies used. A 100mg dose of Deca every two weeks led to significant weight gain for AIDS patients suffering from weight loss. We recommend higher doses for athletes; these studies simply prove Deca Durabolin’s strong anabolic properties. Deca is a very good anabolic, and causes large, quality muscle gains. On the other hand it is a bit slower acting than other steroids, but that’s the price of quality! This may be due to its bonds with androgen receptors. Nitrogen retention is an important factor for muscle growth and gaining lean mass. In one study, low doses (65mg/week) and strong doses (200mg/week) of Deca led to significant nitrogen retention (33-52g of nitrogen in 14 days, representing gains between 0.5 and 0.9 kilograms of lean tissue per week). In addition, subjects’ body weight increased between 4 and 6 kilograms, including about 3 kilograms of lean mass, and cardio performance (on the treadmill) also progressed. Dare we say that higher doses than in this study produce even better gains? To gain muscle, many Deca-Durabolin users confirm and recommend taking 400-600mg/week. Deca-Durabolin also has a very long active life. 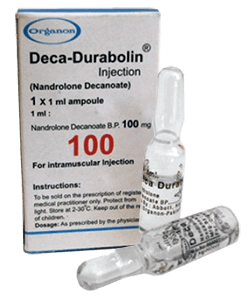 A 100mg injection of Deca gives relatively high and stable nandrolone levels in the blood plasma for up to ten days. So injections once a week are necessary and sufficient for stable levels of Nandrolone Deca Durabolinnoate. 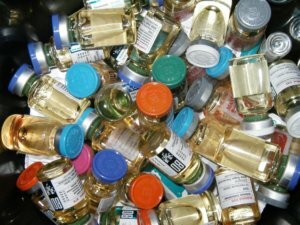 You will also notice that the rise in nandrolone levels in the plasma is caused by injections in the buttocks, as opposed to injections in the deltoids, which is true for all oil-based steroids. In another study on HIV-positive men, Deca-Durabolin (200mg the first week, 400mg the second and 600mg during weeks 3-12) did not cause negative side effects concerning LDL cholesterol, triglycerides or insulin sensitivity. There were also reduced HDL cholesterol levels (10.8 points) in the two groups. Additionally, in most studies with HIV-positive subjects Deca-Durabolin has enhanced the body’s immune functions, making it more resistant to diseases. So we know that Deca-Durabolin is a very safe medication to use in the long term and that it helps joint problems, improves immunitary function, and is very anabolic but only slightly androgenic. This is the good news, but here’s the bad: Deca-Durabolin is known for producing quality weight gains, but it must be used for a minimum of 12 weeks. But that does not pose too many problems because it’s a very light medication in terms of side effects. Many users experience water retention with this compound. Simply take a medication to counter this symptom; Letrozole seems to be the favorite choice. This water retention seems to make Deca-Durabolin more appropriate for a bulking cycle than for cutting, but Deca can be successfully used for both. Deca-Durabolin is a progestin (as are all nandrolones), and unfortunately it stimulates the progesterone receptor by 20% as well as progesterone itself, which opens the door to several undesirable side effects (like water retention or acne). Fortunately these effects are quite rare. This may be the major reason Deca suppresses natural testosterone production. A simple 100mg injection of Deca Durabolin causes natural testosterone levels to fall by 100%, and it takes about a month to return to normal testosterone levels without medication. Happily, recovery medications exist for the end of cycles and are commonly used by athletes. Therefore it’s necessary to always use testosterone with your Deca-Durabolin injections. We recommend 200mg of testosterone at a minimum to avoid impotence and sexual dysfunction. But to benefit from testosterone’s anabolic effects, we recommend taking at least double, with an equal quantity of Deca-Durabolin (at least). 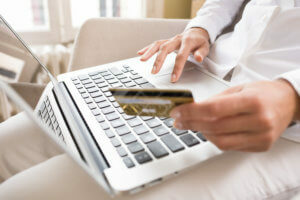 Finally, we recommend taking an antiprogestin medication with Deca. Deca-Durabolin works perfectly in a bulking cycle with doses up to 600mg/week for 12-16 weeks; or doses of 400mg/week for a 12-16 week cutting cycle. You should also take a medication to prevent water retention. Whatever the goal of your Deca cycles, we recommend keeping testosterone and some antiprogestins on hand. You should also use post-cycle therapy should. Men, Deca Durabolin will stop testosterone production in your testicles, so take testosterone for at least 2 weeks after a Deca cycle. Normal testosterone levels take around a month to return, so take a long testosterone ester for about 2 weeks longer than Deca-Durabolin. You want to avoid a period where Deca is no longer producing anabolic effects but continues to suppress your natural testosterone levels. We suggest carrying out an effective post-cycle therapy after your cycle: use Nolvadex, HCG or Clomid to restore your natural hormone levels as quickly and efficiently as possible. You should purchase quality Deca-Durabolin under the official brand Organon. Watch out for fakes, many clandestine labs produce this drug. 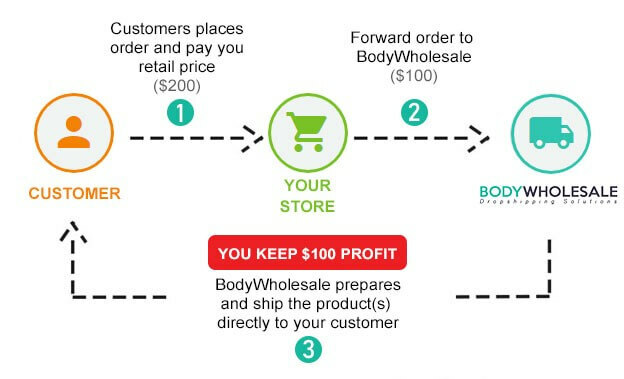 Generally 10ml or 20ml at a 200mg/ml concentration should never cost more than $100.